Hmmm … it must be pumping at dinner time, because I went there from lunch, and there were only 3 tables of diners (including me and the people I was with). Just to the east of the city centre off one of the main roads leading into the city centre (Boulevard de l’OUA), it is located just north of the Presidential residence, and the next parallel street west from the French Embassy. You would think that it’s easy to find. Well, I decided to be adventurous and take one of Kigali’s ubiquitous motorcycle taxis – basically, you just sit on the back of the bike, all for the bargain price of Rwf300 (around 50 cents – does it really matter which currency? ), wear the dubious-smelling spare helmet, and hang on for dear life. Unfortunately for me, my young driver (he looked 15 - how did he even have a driving licence?!!) didn’t know where it was, but didn’t want to lose the fare, so he nodded his head and waited for me to get on before fessing up about 5 minutes later, when we were who knows where. What should have been a quick 5 minute zip-around from the city centre to the restaurant ended up being a harrowing 20 minute ride around the streets of Kigali. Fortunately, it was in an upscale part of town, near the Presidential residence, so the streets were almost devoid of traffic. We finally found the place - it was located on a dirt road, with road workers busily grading the surface in preparation for sealing (in testament to the speed of development happening in this little but progressive African nation, when I went back 2 weeks later, there was a freshly and perfectly sealed road, with no hint at all that it had only been dirt a short while ago). There’s nothing like seeing your life flash before your eyes to work up an appetite, and a big thirst … for beer. They’ve never heard of VB here in these parts (not that I drink it anymore, even when I don’t have a choice! ), so my hard-earned thirst had to make do with a Miitzig. Which I personally think is much nicer tasting anyway. 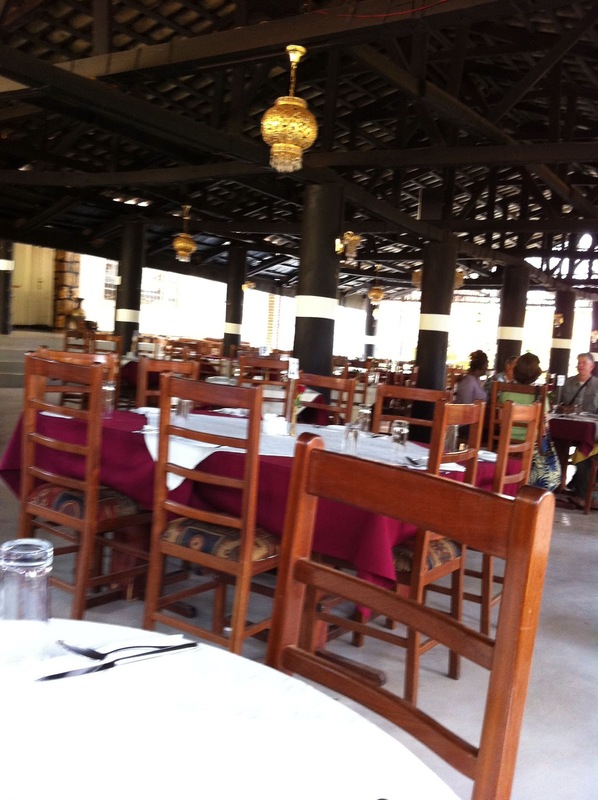 The Khana Khazana is a palatial looking venue – it’s essentially a huge outdoor gazebo, but very comfortable nonetheless. We had our very own waiter, who did a very good job of always being around, yet unintrusive. Background music was authentic – I detected the angelic strains of the Saddi Rani of Bollywood herself, Asha Bhosle (the Queen of Bollywood backing music). The food was good. While African cuisine has been an exotic and exciting experience, it’s always comforting to enjoy food that I love and am well-familiar with. Some people say that the butter chicken is a test of the quality of any good Indian restaurant, much like the pho in a Vietnamese restaurant, the siew yoke (roast pork) in a Hong Kong barbecue restaurant, or the trippa ala fiorentina in an Italian restaurant (okay maybe I’m the only one who believes in that last one). So we order the butter chicken. I was with guests whom I had recently met, so I couldn’t whip out the trusty iPhone to take photos. The appearance: a delightful orange gravy with yellow-white swirls of butter in the little copper serving pot was host to juicy morsels of perfectly cooked tandoori chicken. The texture: not as thick as the gravy found in Australia, but nonetheless still rich warm and unctuous. The chicken softly chewy but full of moisture. The flavours: a deep dive through a sublime layer-cake of taste, fulfilling the promise made by the fragrance. The surface was of spices - turmeric, cumin, garlic, underlaid by the buttery goodness of what must have been an entire block of butter; then I hit the thermocline of the tandoori masala, with the subtle smokiness of the oven wafting through - a sure sign of a properly cooked butter chicken (first cooked in the tandoor, then cooked in the gravy); then the endorphin-inducing sting of the chilli punches through; and then I am lost in the mixture of it all. Out of politeness, and not wanting to freak out my fellow diners, I didn’t shut my eyes to enjoy the ecstasy of this flavour bomb. But perhaps I could have done so without being noticed, because there was silence at the table for a long while as we all focused on eating our meal. If you’re in Kigali, or even Kampala, do yourself a favour. 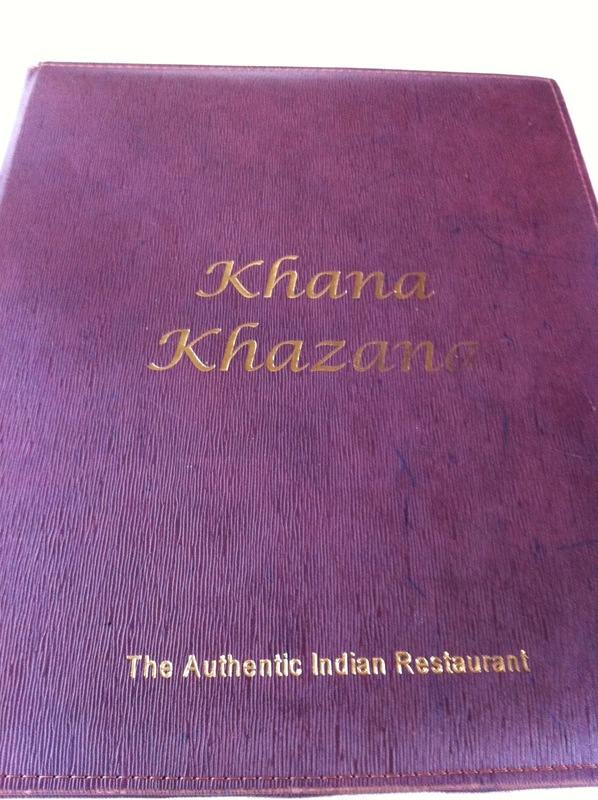 Make time to dine at the Khana Khazana. And make sure you shut your eyes when that first mouthful hits your tastebuds.